Let’s start with TV, because it’s been another good year for TV. Number 5: Altered Carbon . I went back-and-forth on my top 5 list. There have been a lot of good shows and I’ve been tempted to put different things in some slots, especially in position number 5. 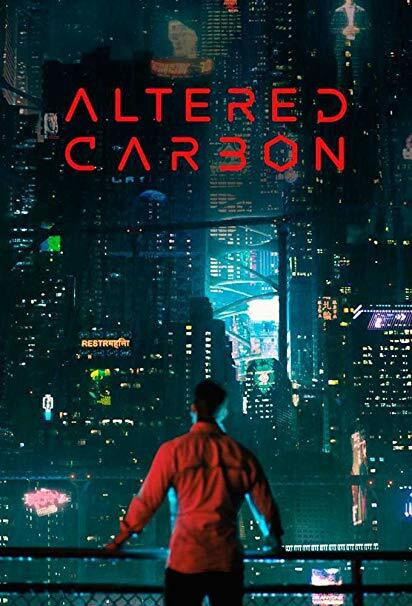 But at the end of the day, I think I enjoyed Altered Carbon more than some of the other candidates. It has flaws: I disliked how tightly every single plot point in the series fit together into one narrative. That felt too neat. And the casual misogyny that seems to always accompany anything with a noir aesthetic was annoying. But Blade Runner -esque visuals and cool ideas about tech and general good writing. I was there for all of that.